Last spring I got a new kitchen toy, the Inspiralizer - I love it! If you're wondering what the heck this is... it's basically a vertical mandolin with a crank that turns veggies into noodles and it's AWESOME. Why do I love it? Well, as you know, I cook a lot and this little gadget makes my life so much easier - especially on late nights. I posted this picture a little over a week ago and I got a lot of questions. Want the details? So, (as I like to say) here's the deal... This supper was after a late night when I got home after our Open Knitting on Wednesday night at Firefly Fibers. At knitting, some of us are hungry and, as a foodie, the conversation usually goes to food at some point when I get to sit and knit. As the night goes on, the conversation goes to how delicious Culver's would be and then I realize how tired I am and it's hard to resist. But, when I do resist, my belly is much happier and this meal took me a total of 15-20 minutes to put together. Seriously, that's how long it would take me to get fast food. Here's the recipe... first, I always have fresh parsley, sweet potatoes, frozen shrimp, and jarred sauce on hand - really, we all should. For this meal I selected the super-fancy Vodka Sauce from Aldi (it's really delicious), got 8 shrimp from the freezer to quick-thaw and got to peeling and spiralizing the sweet potato while the pan was heating up. Sautee the swoodles (we'll get to that term in a second) with a bit of coconut oil for about 8 minutes, sautee the shrimp in another pan and heat the sauce in the microwave (remember, we're late-nighting it). When the swoodles are done (again, we'll get to that in a moment), plate the swoodles and top with sauce, shrimp and a healthy amount of parsley. E. A. S. Y. So... tonight we recorded our 4th episode of the Alisa the Yarnista podcast *gulp* and due to a technical difficulty (thanks Windows) we had an intermission and I got these lovelies ready for our French Dip sandwiches. So, there ya go. 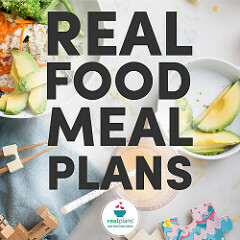 I love veggies (no surprise) and I love the Inspiralizer so much that I'm now an affiliate for this super-fantabulous product - it's such a great way to get some amazing food into your belly. So, if you want to get one, pop on over via this link or the awesome photo to the right - Rollo and Logan will thank you.